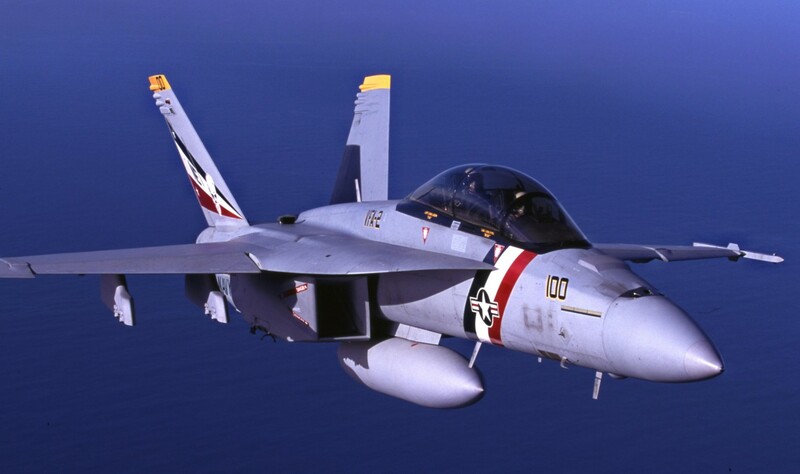 On October 6, 2003 VFA-2 took delivery of its first F/A-18F, wearing the traditional Langley Stripe. 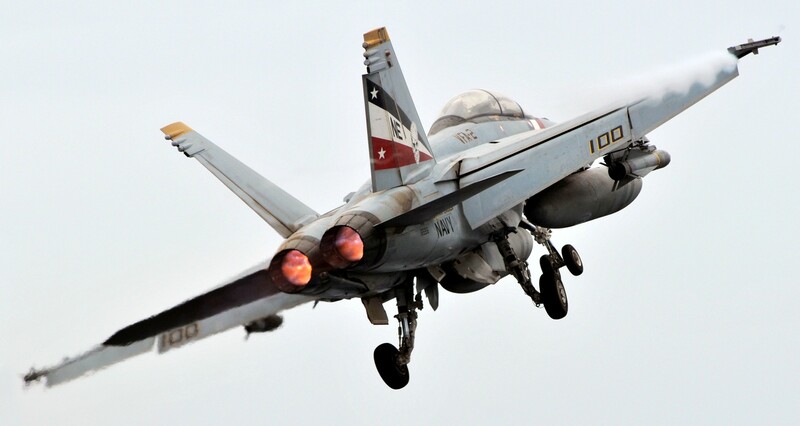 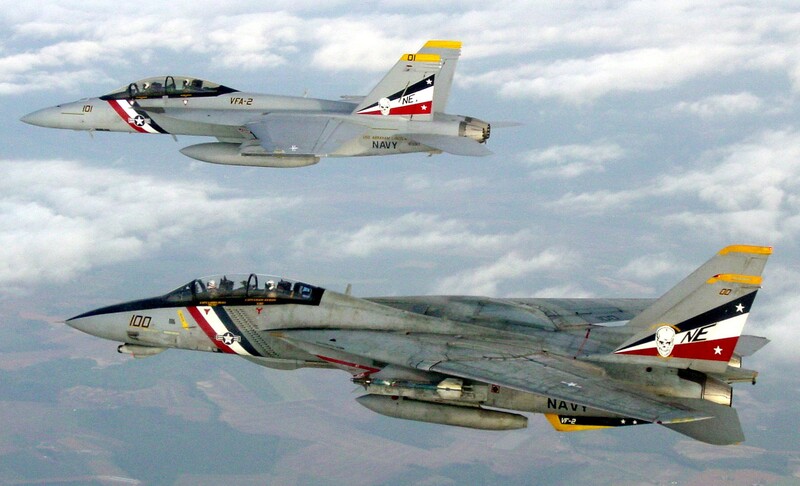 All in all, the transition took only four and a half months, the shortest time ever for a Tomcat-to-Super Hornet transition. 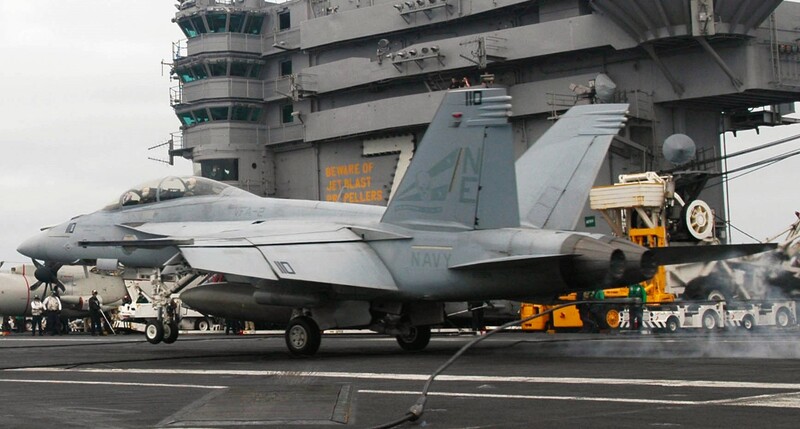 VFA-2 made its first deployment with the new F/A-18F Super Hornet and CVW-2 beginning in October 2004. 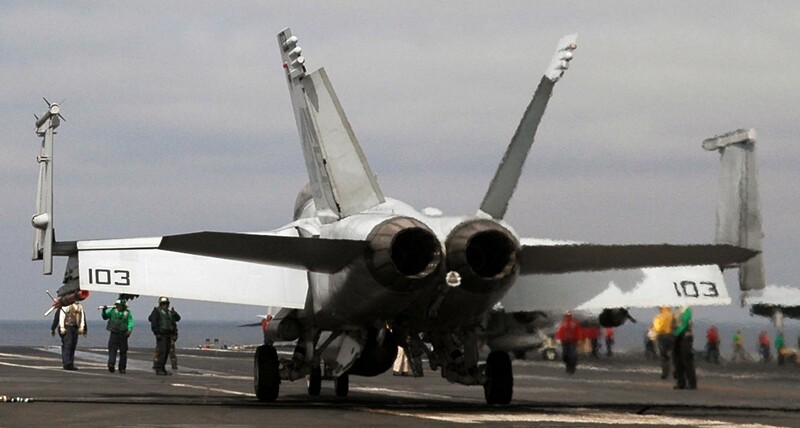 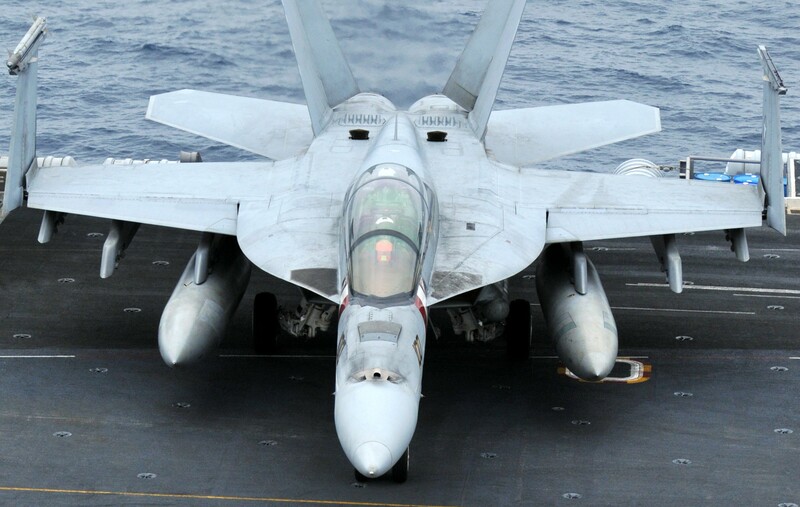 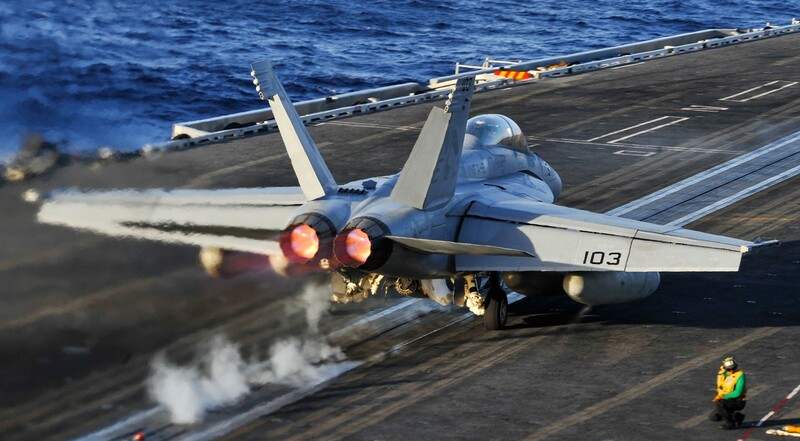 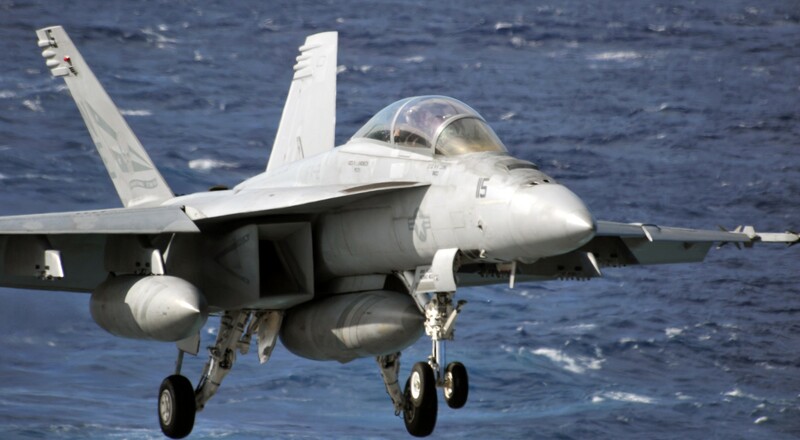 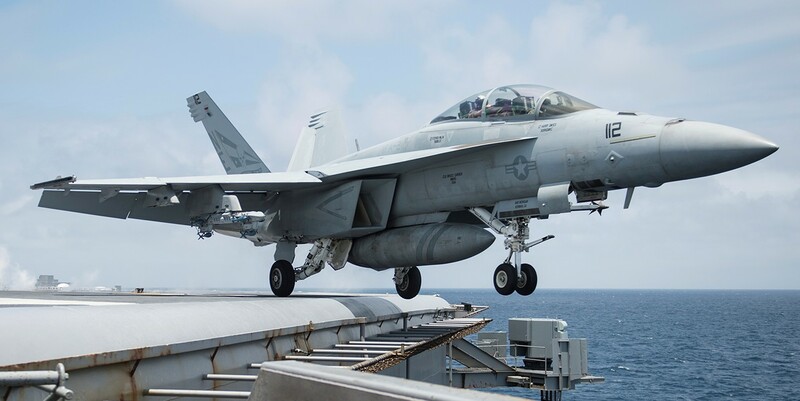 As part of the Navy's new war fighting strategy known as the Fleet Response Plan, CVW-2 and the USS ABRAHAM LINCOLN (CVN-72) were chosen to be the first emergency surge Carrier Air Wing. 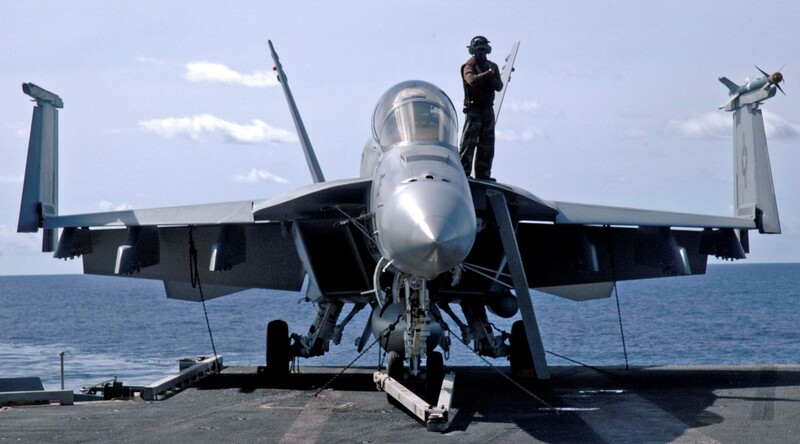 The "Bounty Hunters" deployed with their new aircraft on a unique 4 1/2 month deployment which included Operation UNIFIED ASSISTANCE after a tragic tsunami struck Sumatra, Indonesia in December of 2004. 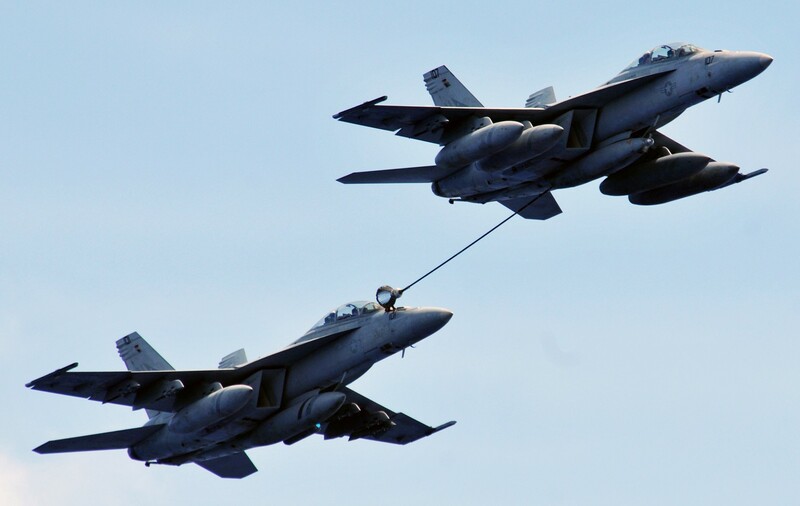 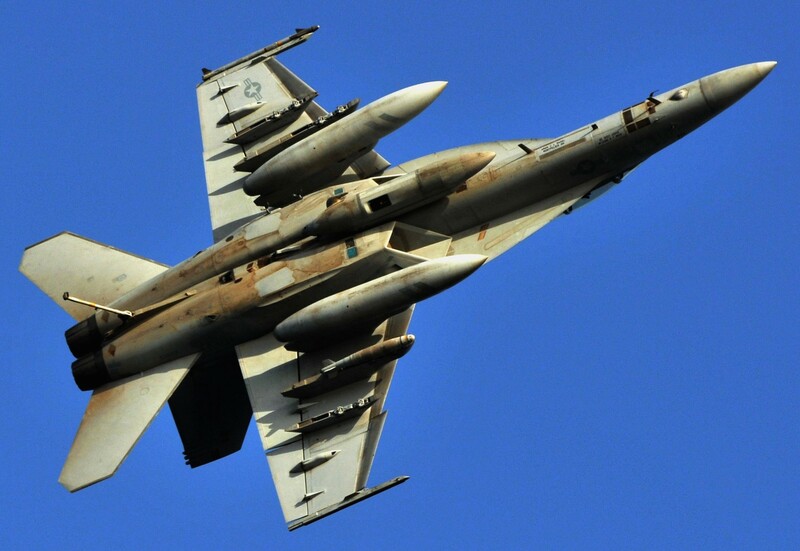 Following the humanitarian efforts, VFA-2 participated in the two-week international training exercise COPE TIGER 2005, working with Air Forces from the United States, Thailand, and Singapore. 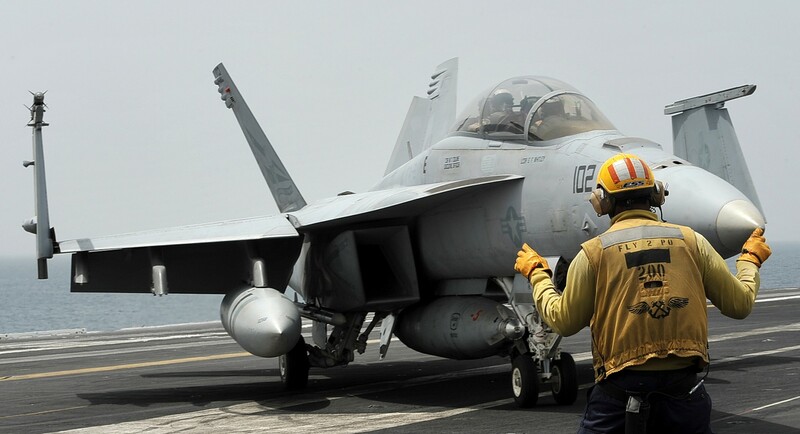 One month following the 2005 surge deployment, VFA-2 began training for their 2006 deployment with detachments to NAS Fallon, NAS Key West, and the USS ABRAHAM LINCOLN. 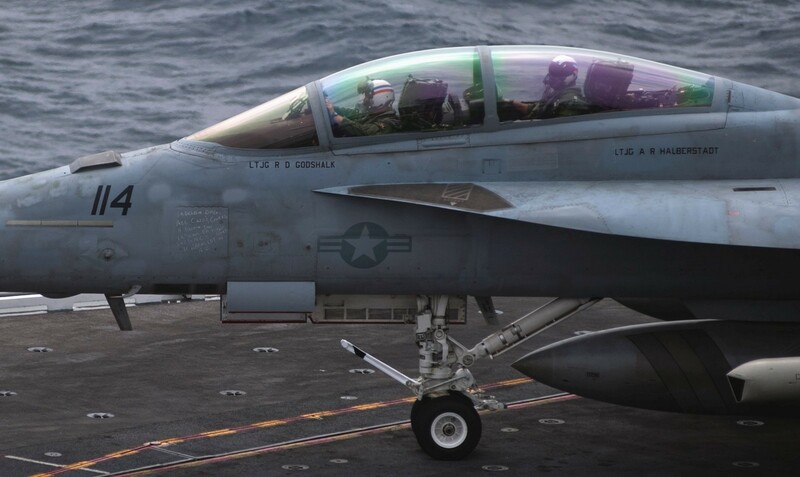 While underway, VFA-2 participated in exercises FOAL EAGLE in South Korea, VALIANT SHIELD in Guam, and RIMPAC in Hawaii. 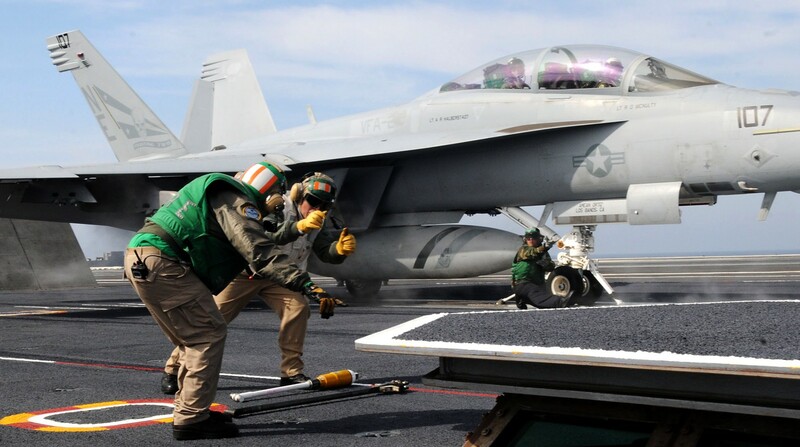 These multinational exercises included countries such as Australia, China, Chile, Peru, South Korea, and Singapore. 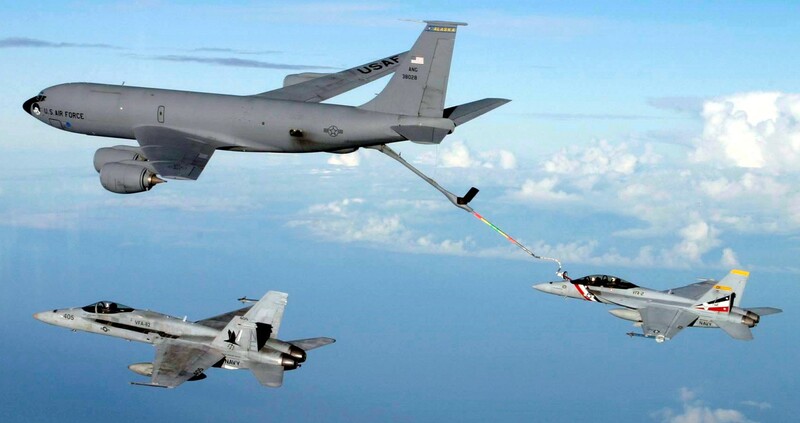 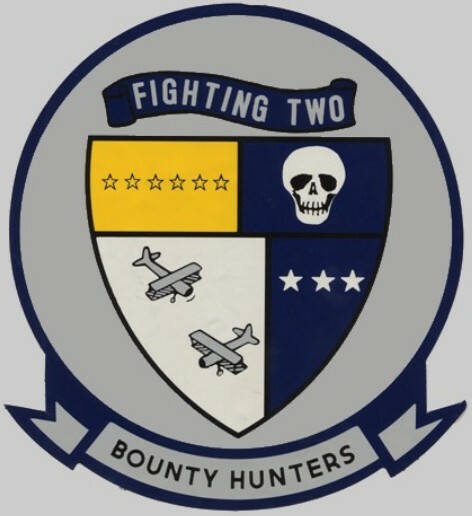 From March to October 2008, the Bounty Hunters were deployed to the Western Pacific and the Persian Gulf as part of the USS ABRAHAM LINCOLN Carrier Strike Group, operating in support of OPERATION IRAQI FREEDOM and OPERATION ENDURING FREEDOM. 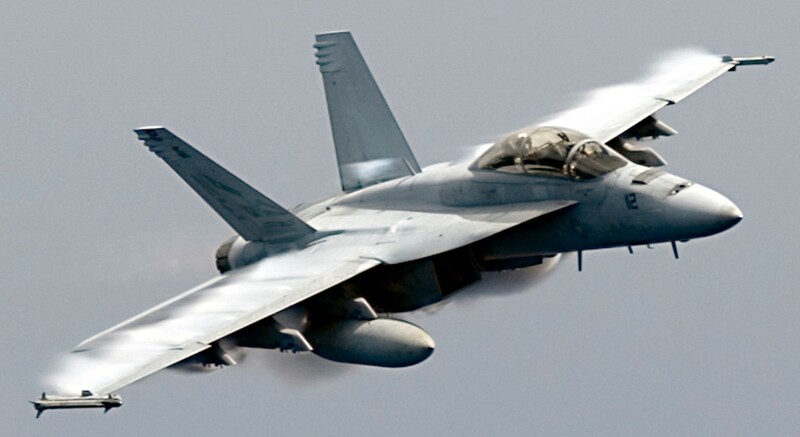 In 2009, VFA-2 was recognized as the Commander Naval Air Forces Pacific 2008 Battle Efficiency Award for the eighth time in the squadron's history. 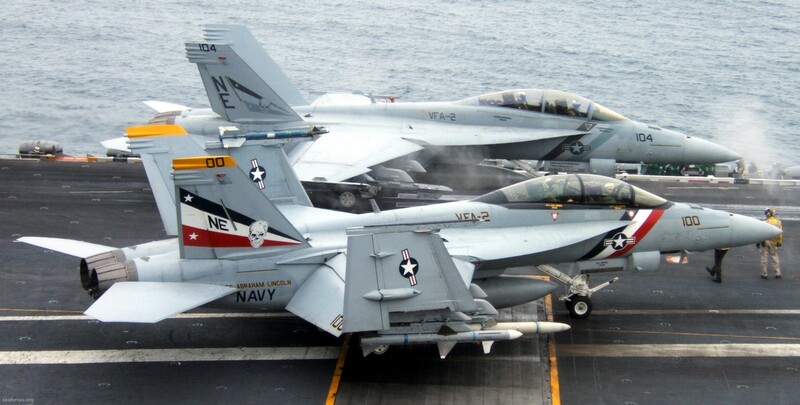 Just weeks after learning they won the 2008 West Coast "Battle E" for Super Hornet squadrons, the VFA-2 Bounty Hunters were awarded the 2008 Rear Admiral C. Wade McClusky Award for their performance on cruise in 2008. 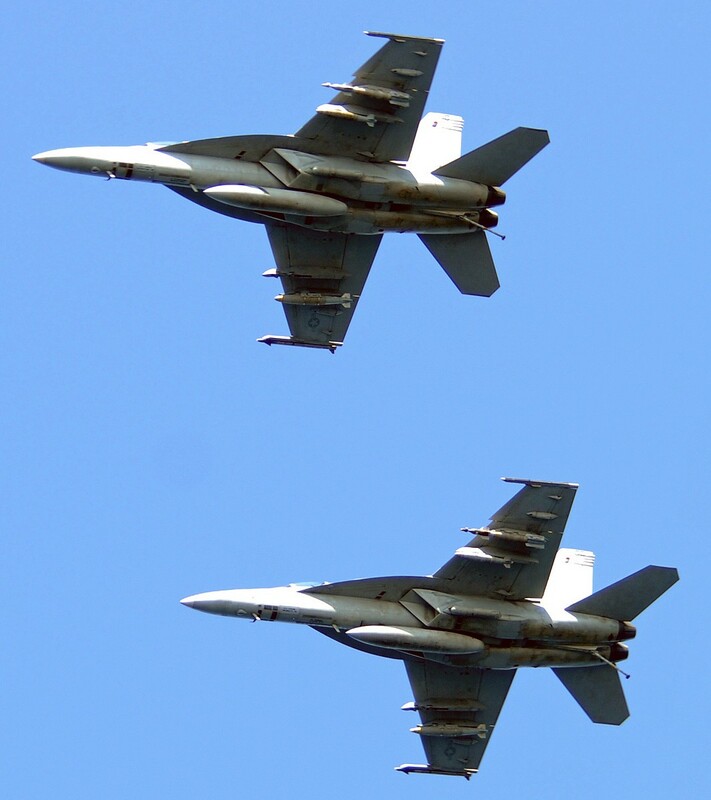 These two prestigious awards capped a banner year for the Bullets and are a testament to the quality of the men and women on the Bounty Hunter team. 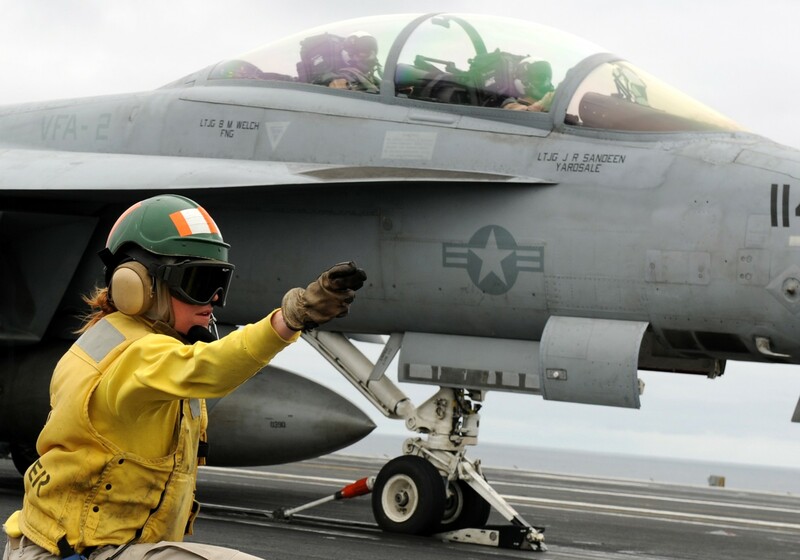 Shortly after the very successful 2008 deployment, VFA-2 began preparing for future operations with a very busy year of training and detachments. 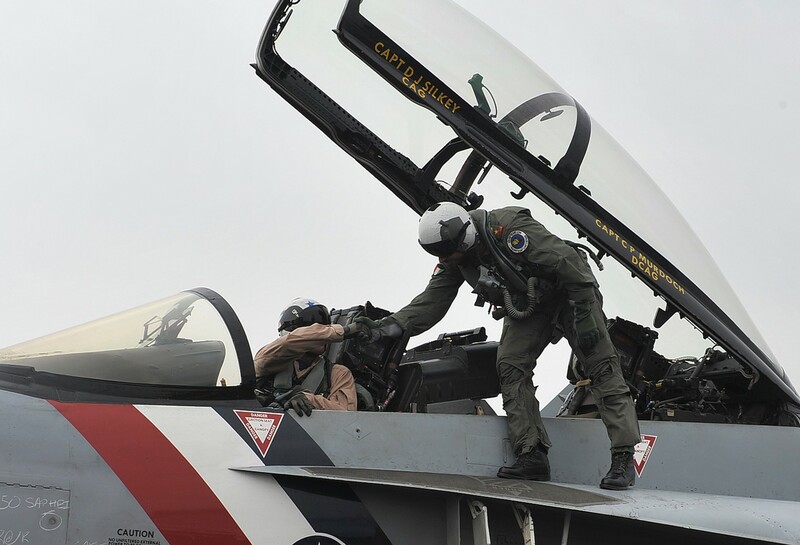 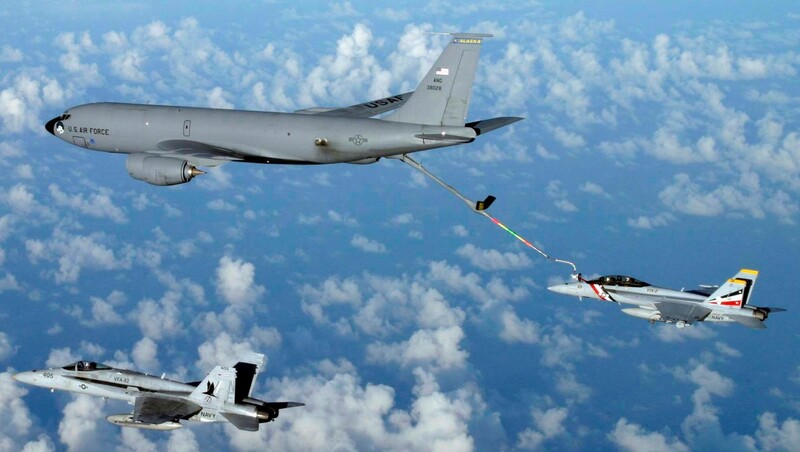 The Bullets were able to send a detachment to NAS Key West to partake in a joint tactical training exercise with various types of aircraft, honing their skills in the Air-to-Air arena. 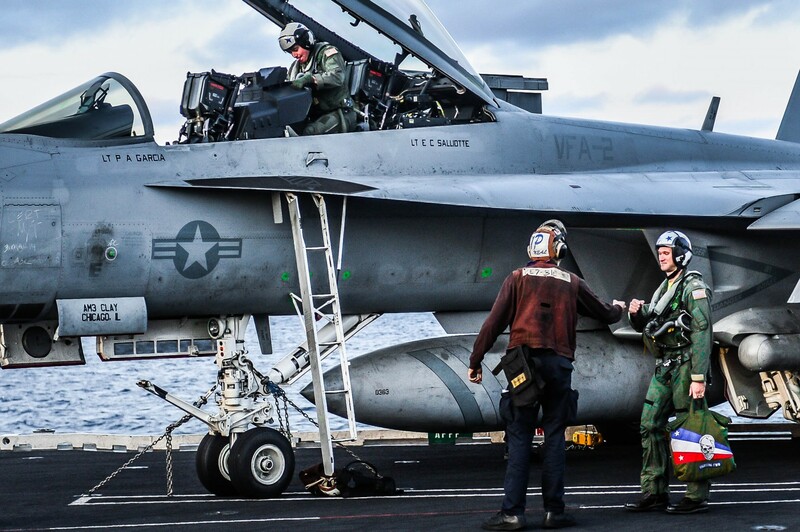 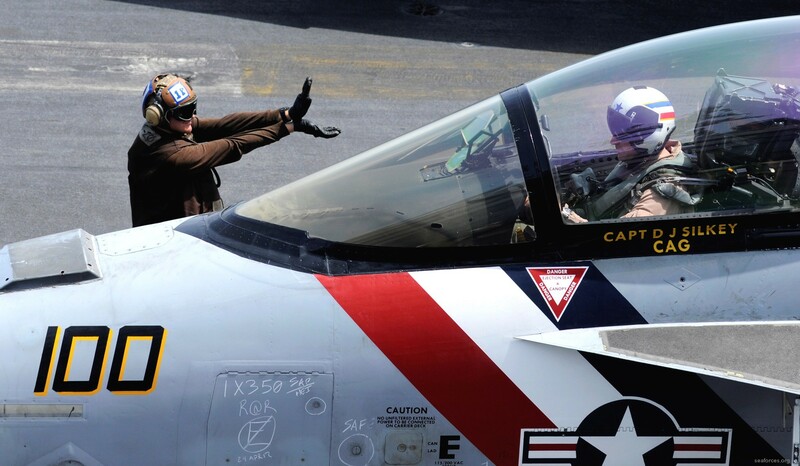 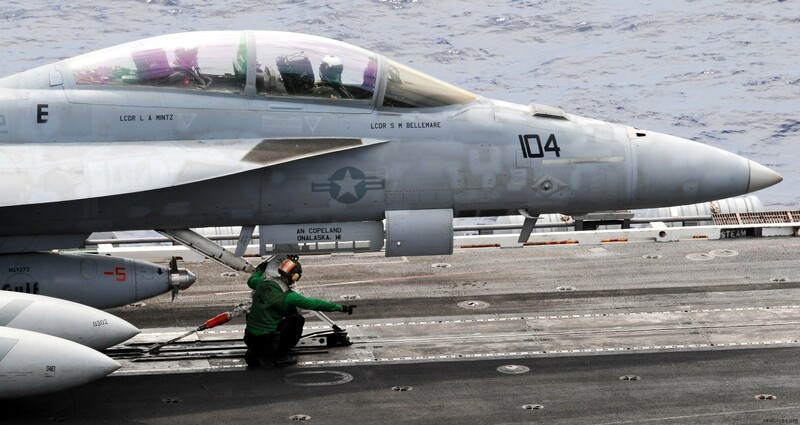 Throughout the year, various detachments onboard USS ABRAHAM LINCOLN ensured not only the aircrew were maintaining their carrier qualifications, but also to keep Bullet maintainers and the flight deck crew proficient and ready for future operations. 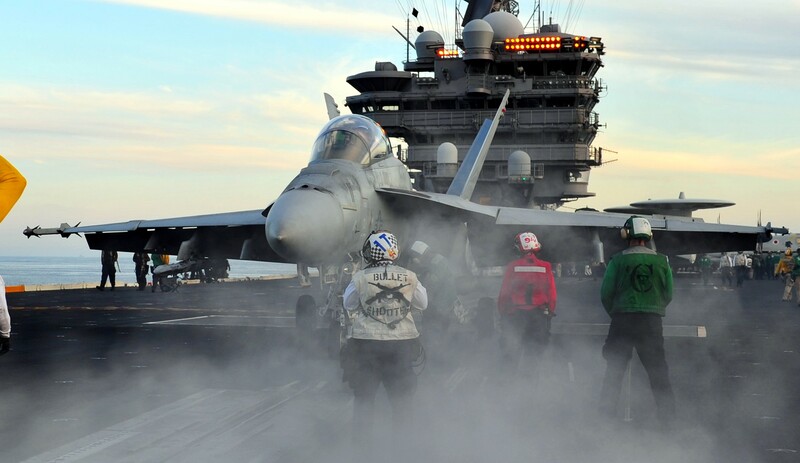 2010 began quickly with preparation for a demanding workup cycle and 2010-2011 combat deployment. 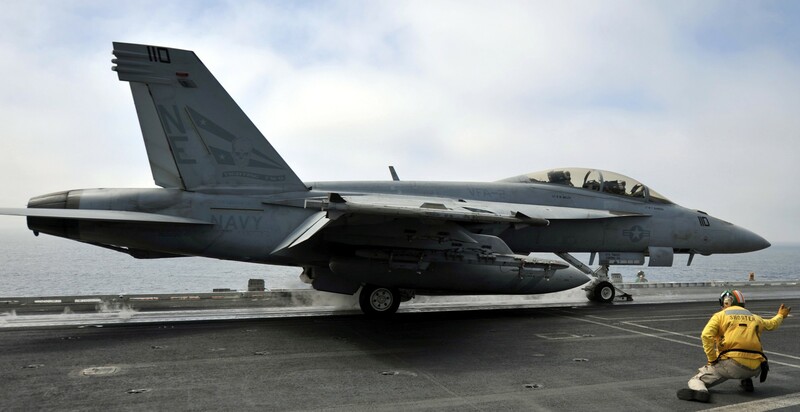 Multiple detachments to NAS Fallon and USS ABRAHAM LINCOLN tested VFA-2’s ability to plan, brief, and fly large force exercises and evaluated their overall mission effectiveness. 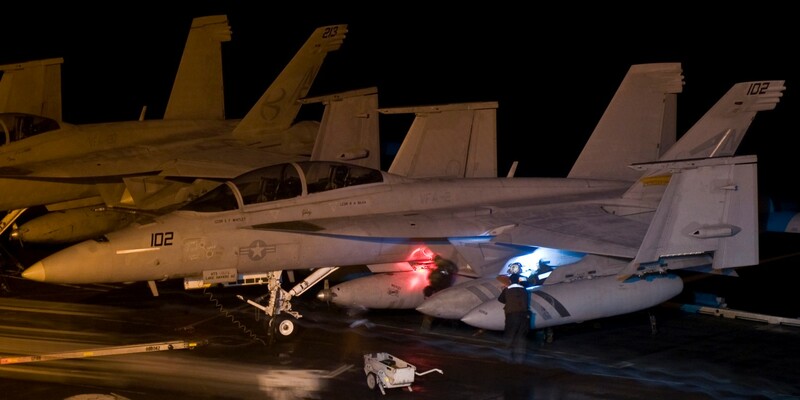 These arduous training environments prepared VFA-2 for their deployment in support of OPERATION NEW DAWN and OPERATION ENDURING FREEDOM from September 2010 to March 2011. 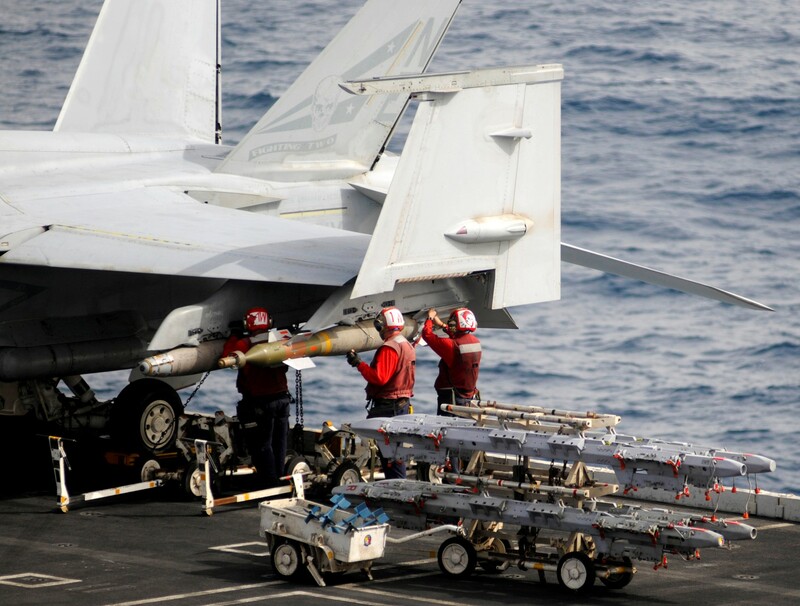 VFA-2 proved to be an vital asset to the CVW-2 team, contributing to the 100% combat sortie completion rate. 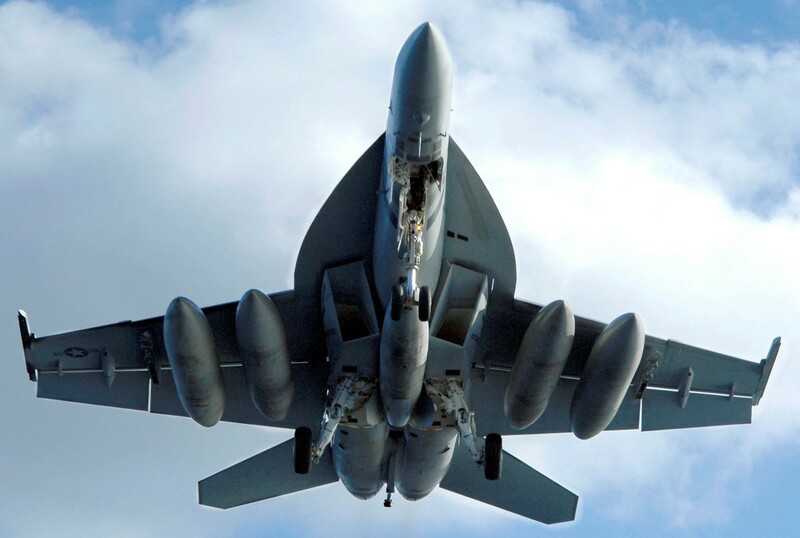 Flying 424 combat sorties for a combined 2,515 combat flight hours, the Bullets employed 4,500 pounds of ordnance and over 1,500 rounds of 20mm ammunition during close air support missions for coalition ground forces n Afghanistan. 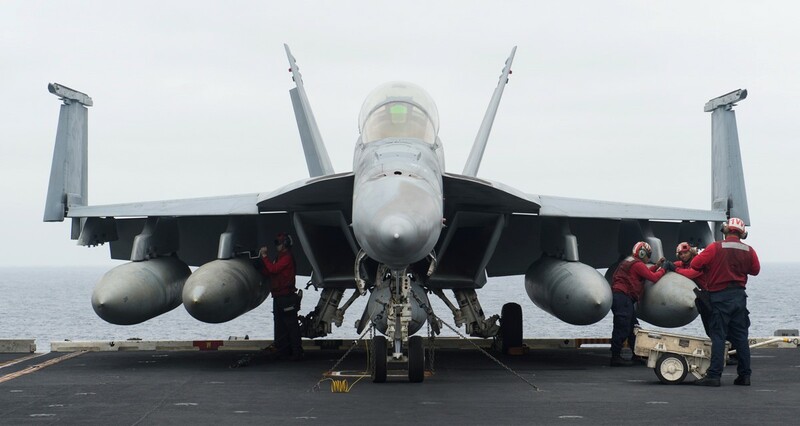 Returning home to families and friends, VFA-2 was able to enjoy some time home before again beginning the challenging and demanding workup cycle to prepare for their next deployment. 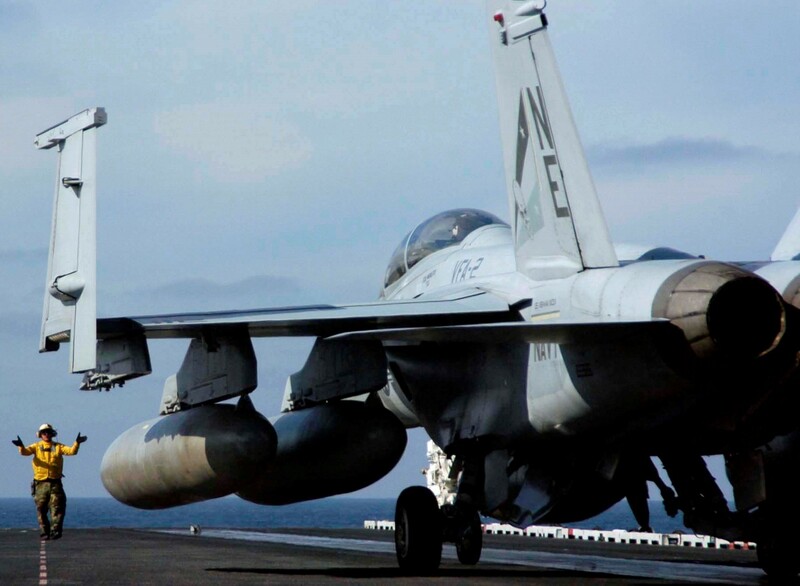 The Bullets were very fortunate to have the opportunity to participate in joint Exercise NORTHERN EDGE at Elmendorf Air Force Base in Anchorage, Alaska in June of 2011. 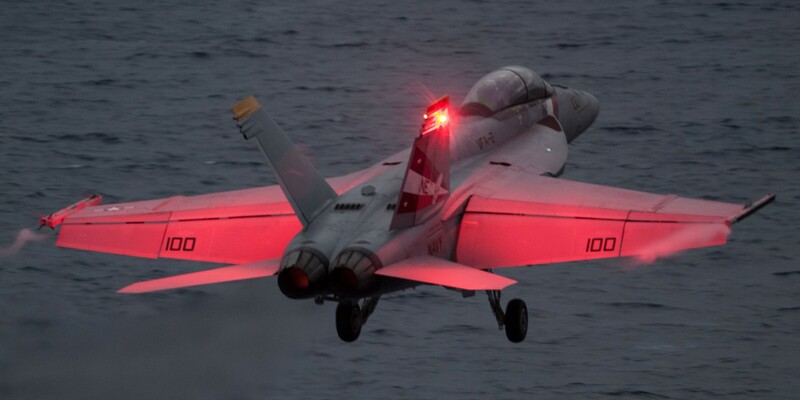 VFA-2 personnel and 6 aircraft participated in this event which would test and expose the squadron to various aspects of large force exercises and joint service integration. 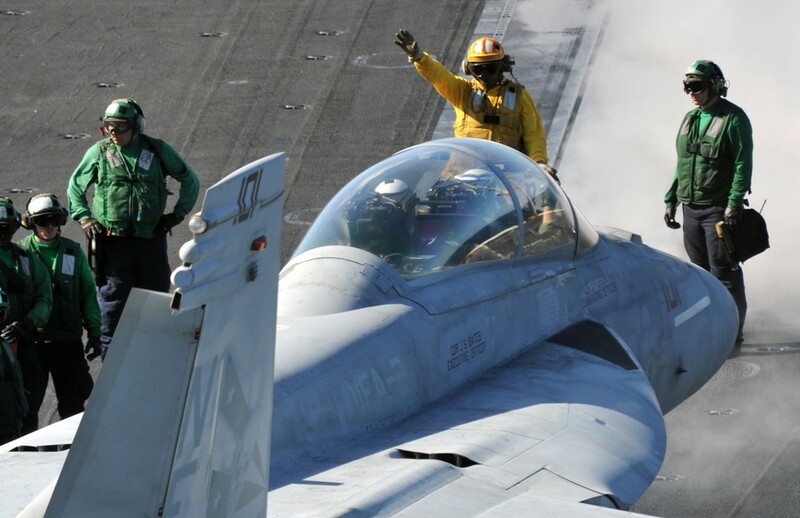 This bi-annual event has proven an important joint exercise, incorporating Navy, Marine, Air Force, Coast Guard, and other active and reserve units. 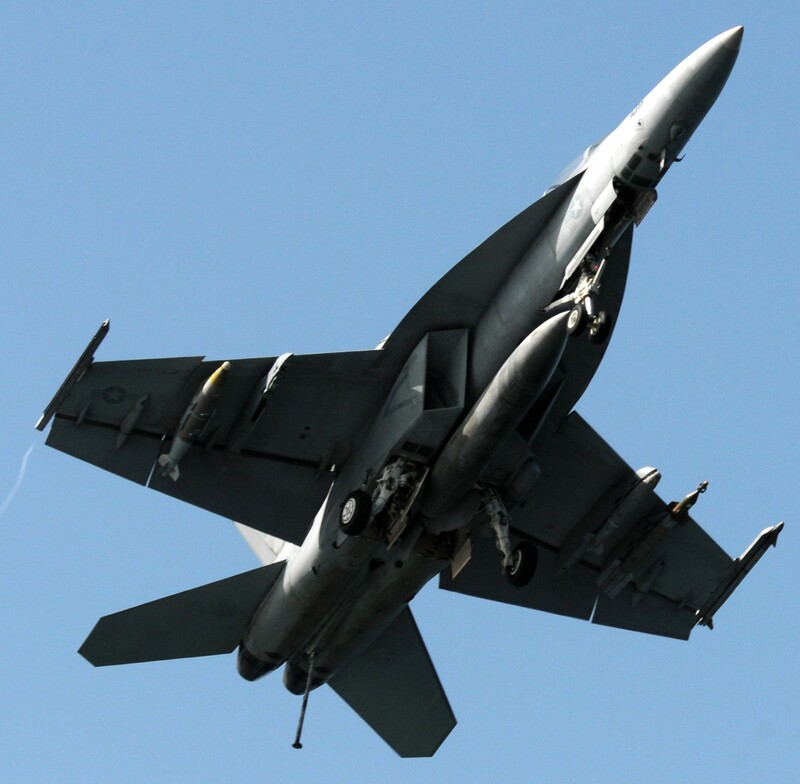 Following Exercise NORTHERN EDGE VFA-2 was again detached to NAS Fallon for more training and preparation for the upcoming deployment. 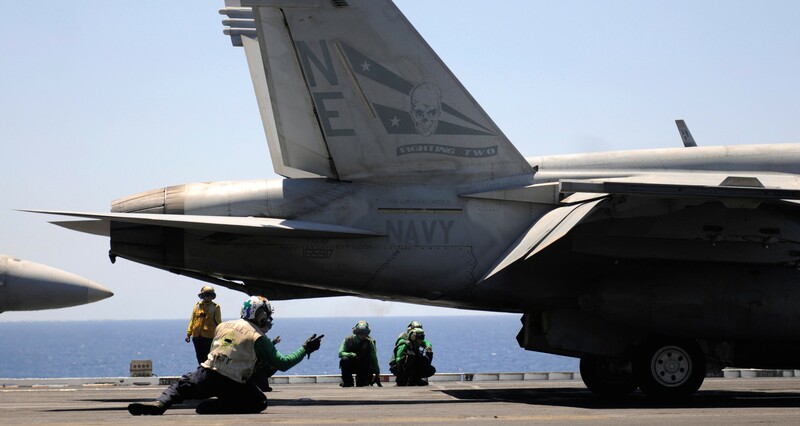 In December of 2011, VFA-2 embarked on another combat Deployment scheduled to support Operation ENDURING FREEDOM onboard USS ABRAHAM LINCOLN. 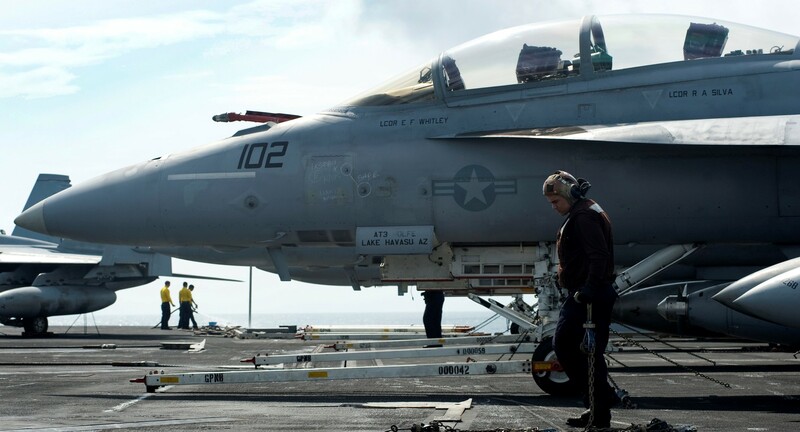 This deployment is unique for VFA-2 and CVW-2 in that the USS ABRAHAM LINCOLN departed NAS North Island, California but will return to NAS Norfolk, Virginia for refurbishment and scheduled maintenance. 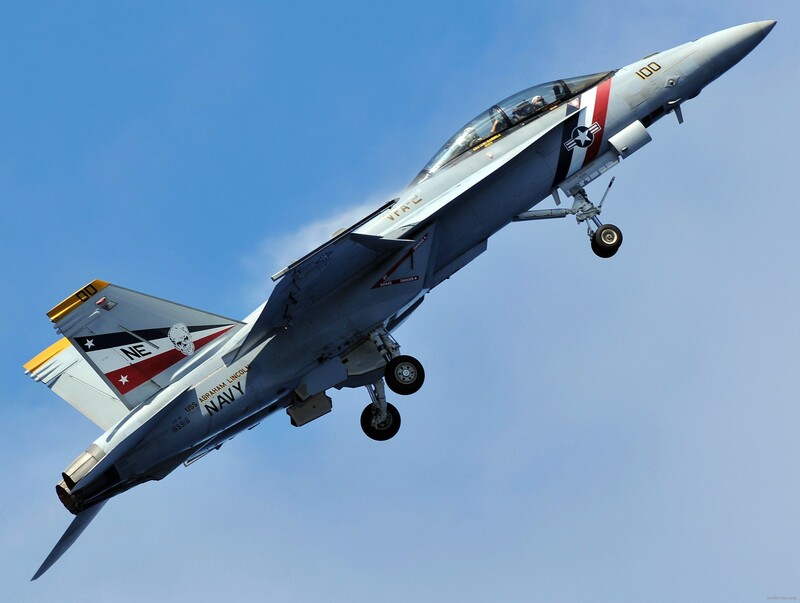 This around the world sail will be the first for most of the sailors in VFA-2 and will allow them to see many parts of the world with planned port calls in Thailand, Bahrain, Dubai, and Turkey. 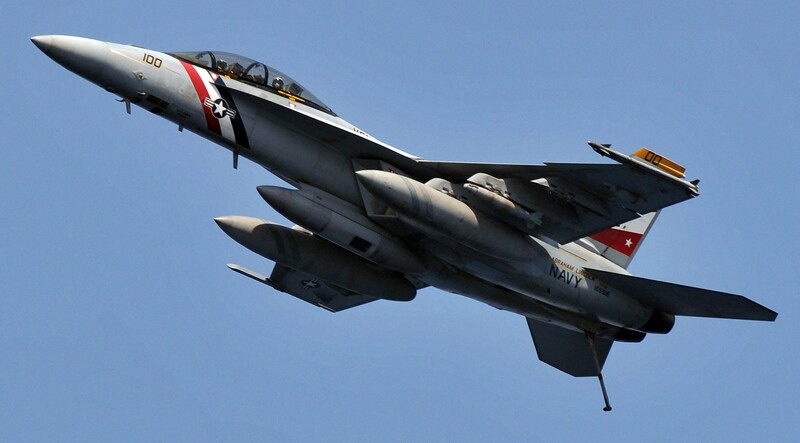 In February 2012, the Bounty Hunters of Strike Fighter Squadron TWO learned they were recipients of the 2011 Command, Naval Air Forces RADM C. Wade McClusky award recognizing them as the preeminent Super Hornet squadron in the Navy. 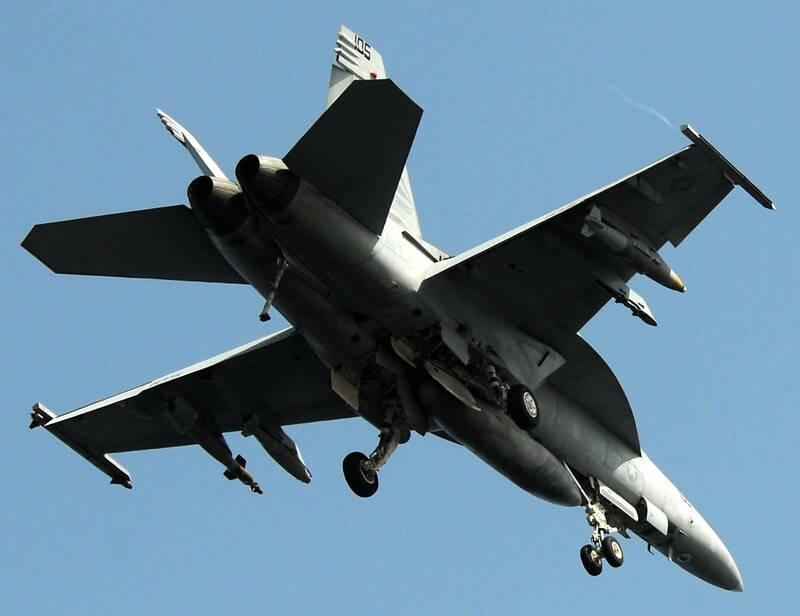 Earning the 2011 Commander, Naval Air Force Pacific Battle Efficiency award for the ninth time in squadron history put VFA-2 in the running for the McClusky award. 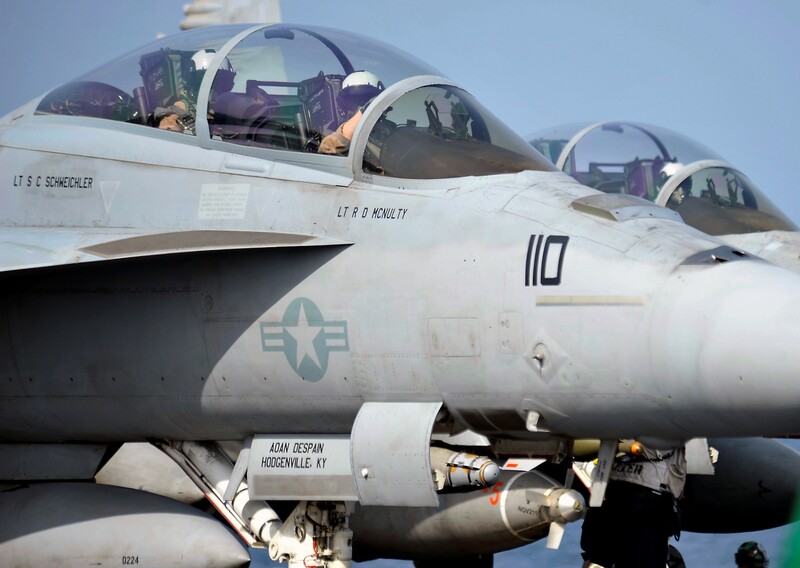 The McClusky and Battle "E" were awarded to VFA-2 for achieving the highest standards of excellence as leaders in aircraft, combat readiness, as well as tactical employment. 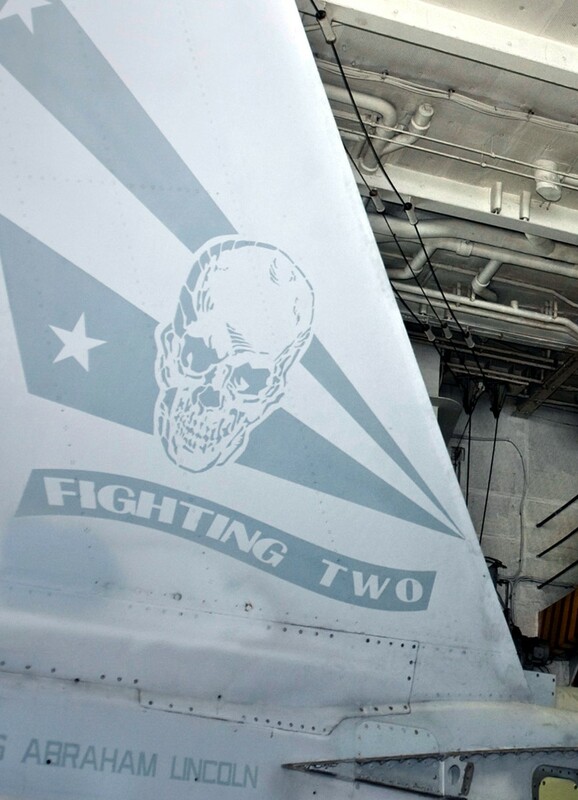 These two awards are a testament to the hard work, dedication, and sacrifice the Bounty Hunters of VFA-2 have made throughout 2011 and into 2012. 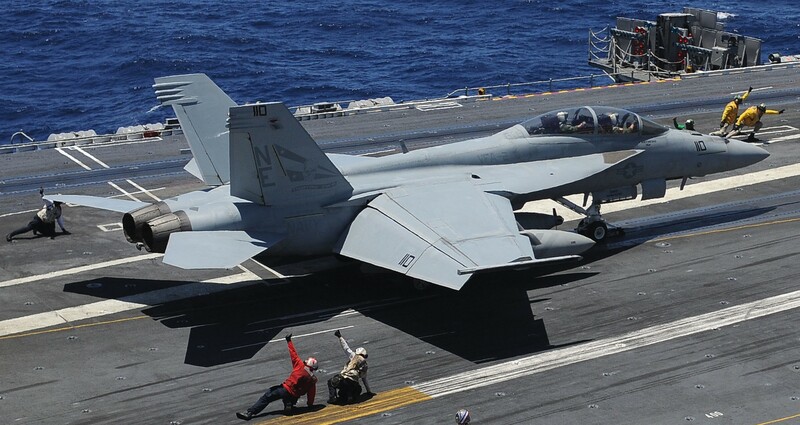 Most recently, VFA-2, along with CVW-2, changed home ships to the USS RONALD REAGAN (CVN-76). 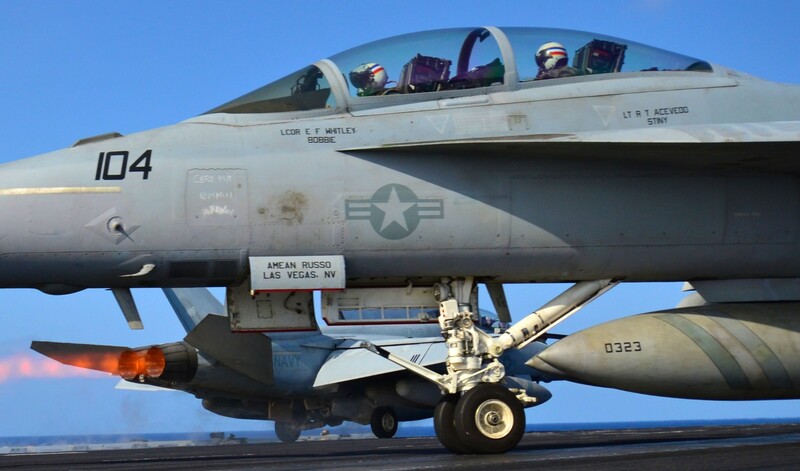 In early 2014, CVW-2 began an arduous work-up cycle, compressing a normally year long process into a grueling six months, both at sea and at NAS Fallon, NV. 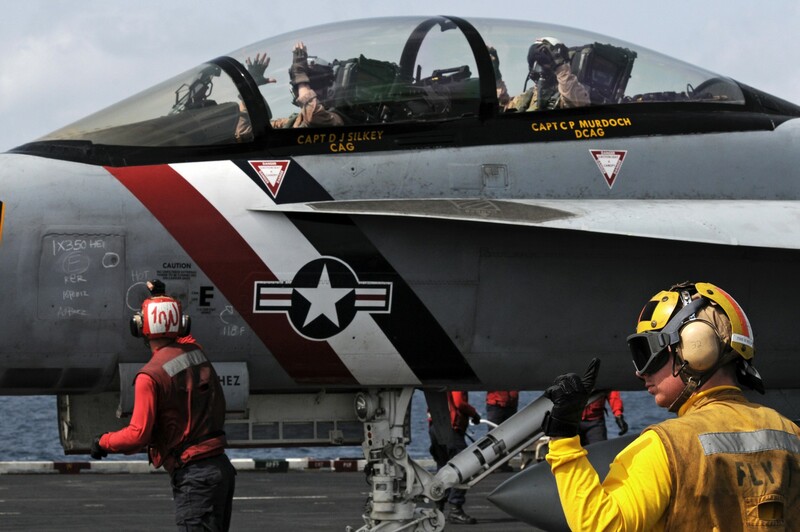 In June of 2014, the Bounty Hunters deployed onboard the USS RONALD REAGAN for the 2014 "Rim of the Pacific" (RIMPAC), the wold's largest international maritime exercise, involing 22 nations. 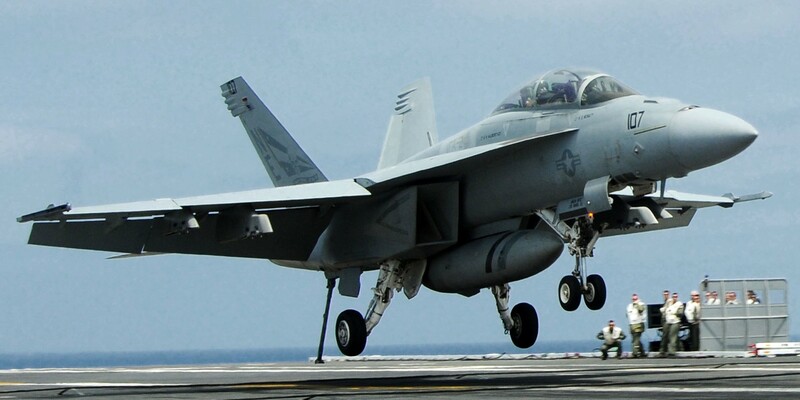 They returned in August, eager and ready for anything that will be thrown their way next.